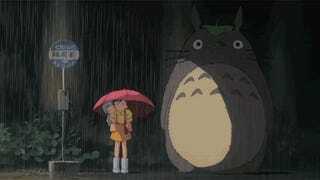 One of the most memorable scenes in My Neighbor Totoro is the one at the bus stop. Wouldn't it be great to visit a real Totoro bus stop? Good news. You can. In Japan, there are a couple or so Totoro bus stops with real working buses. 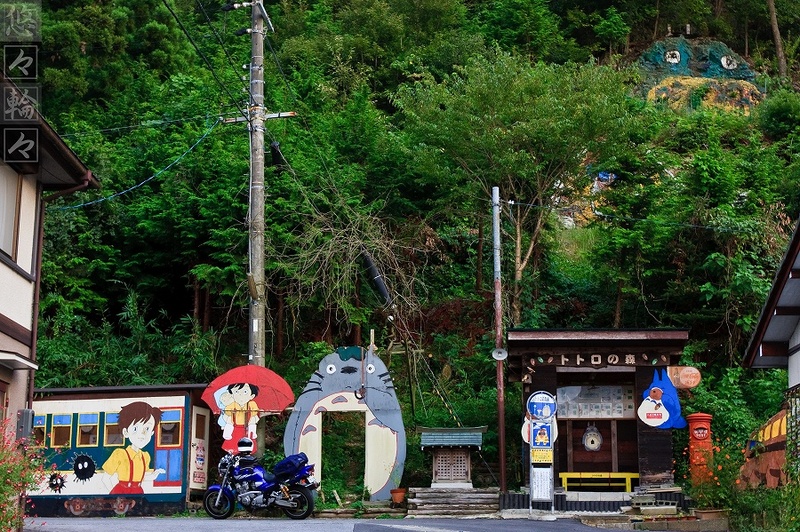 Over the years, there have been several Totoro bus stops, but they are usually for photo ops and not public transportation. For example, there's this faux one in Kyoto. In comparison, here's a bus stop in Saikai City in Nagasaki. There is a large Totoro statue, which seems to be revamped every few years. He looks wonderful in the rain. Did some jerks take his umbrella? And here's a bus pulling up to the stop. Below is Hakui in Ishikawa Prefecture. Beautiful cherry blossoms, huh? And here is a bus stop for an area known as "Totoro" (ととろ) in Oita Prefecture, which Facebook user Rebecca Terada recently checked out. Nearby, there are even little stone Totoros and a catbus you can pose with. Likewise, this is a real, working bus stop. And yes, Japan also has real catbuses, too. And a real Totoro house.